The newly renovated lobby at the Hilton Boston/Dedham offers guests timeless sophistication framed by Móz classic metals. In April 2017, the Hilton hotel in Dedham, Massachusetts completed a multi-million dollar renovation to its guest rooms and lobby spaces. Catering to both the business and the leisure traveler, the renovation aimed to highlight the hotel’s classic architecture. Boston’s legacy and nouveau chic styling converged in the inspired re-imagining of this historic hotel. 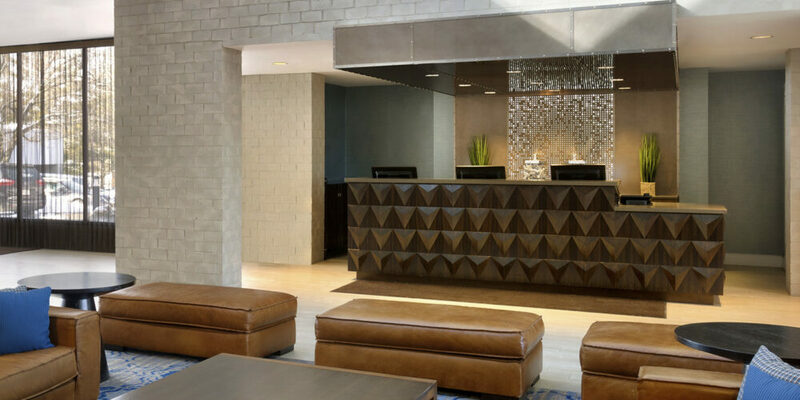 Among the new highlights at the Hilton Boston/Dedham were the neutral metal wall features manufactured by Móz. Panels of Khaki sheet metal were selected from the Classic color collection and treated with a Fog grain and a Polycoat Matte finish. 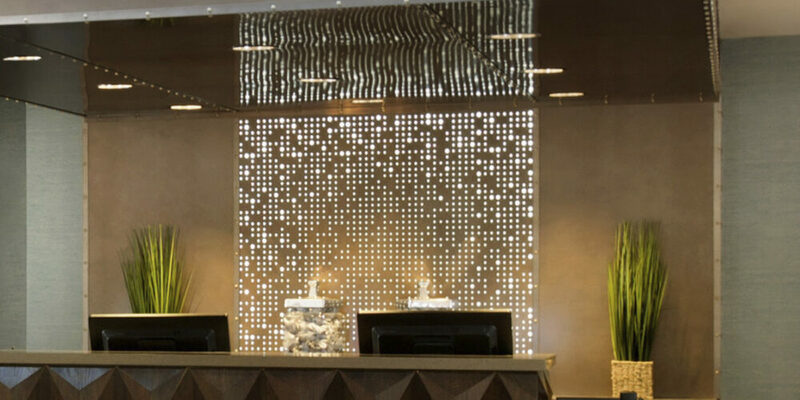 Centrally located in the hotel lobby lounge, the focal wall achieved a suede-like effect using a durable surface material. 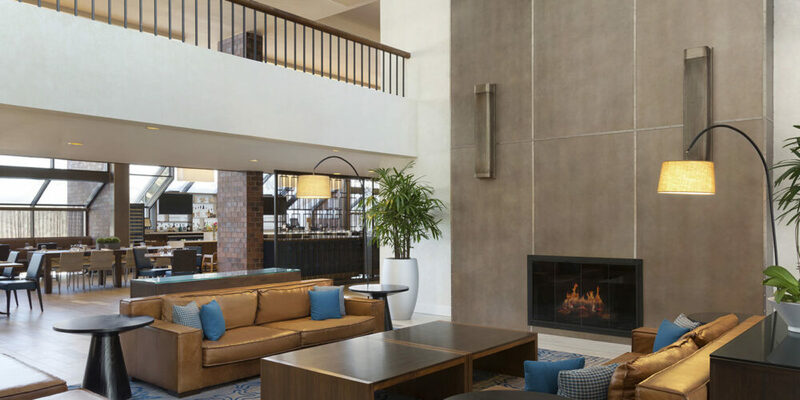 With a plush mix of raw, tactile elements and sleek modern details, the Hilton Boston/Dedham was invigorated with a tasteful new ambiance.